The design of this retirement village was won through a national competition. 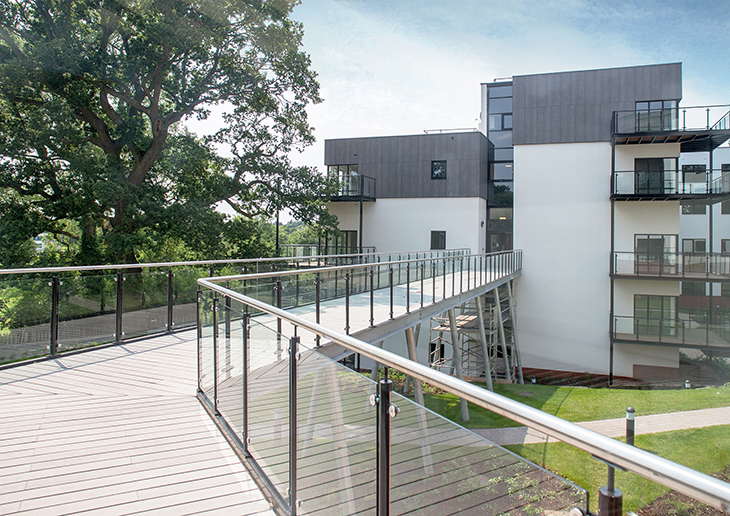 The 250 apartment scheme with communal facilities is located within the Calthorpe Estate Conservation Area to the south west of Birmingham city centre. 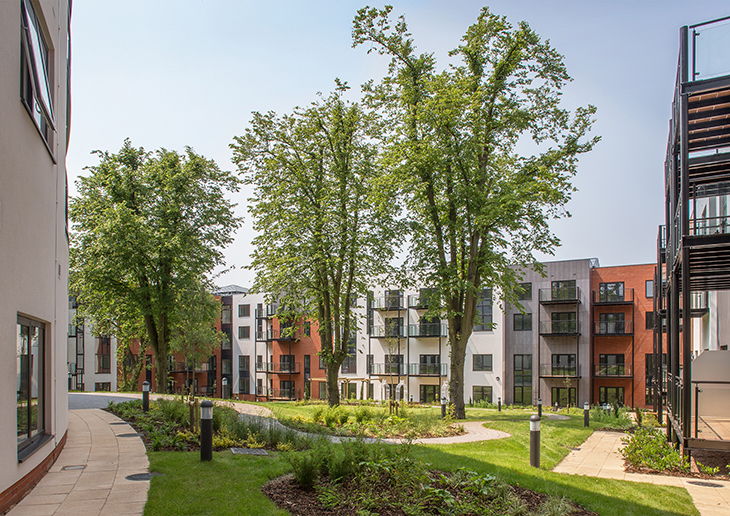 The scheme focuses on 250 one and two bedroom retirement apartmens with extensive communal facilities that create a ‘village centre’. A key aspect of the design was to respond to the vernacular of the Conservation Area, while still providing a contemporary solution. This was achieved by following the established building line for the street frontage and breaking the front façade up to reflect the scale of the traditional villa frontages of the neighbouring buildings. Sympathetic materials, such as brick, are used with modern details to avoid a pastiche effect. 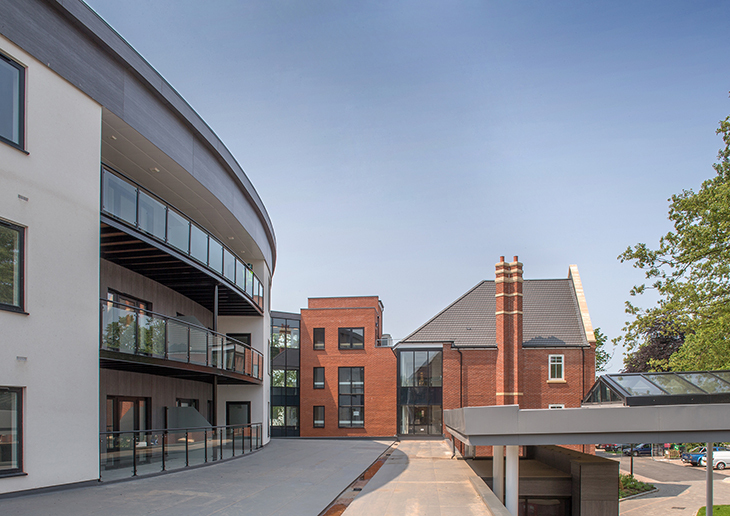 The rear elevation and village centre adopts a more contemporary approach in line with the more urban ethos of the communal facilities. 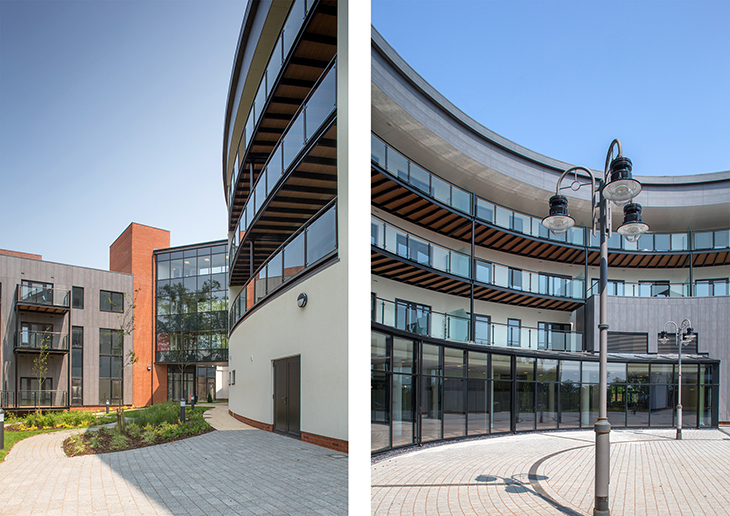 The village centre opens out to extensive garden areas where a number of mature trees have been retained and augmented with new native planting to help tie the new building into its context.